What do children learn from books? They learn language and a world of content, but too often kids also learn that protagonists are white. They learn that brave, clever characters speak English. Unfortunately, despite census data that shows 37% of the US population consists of people of color, only 10% of children’s books published have diversity content. 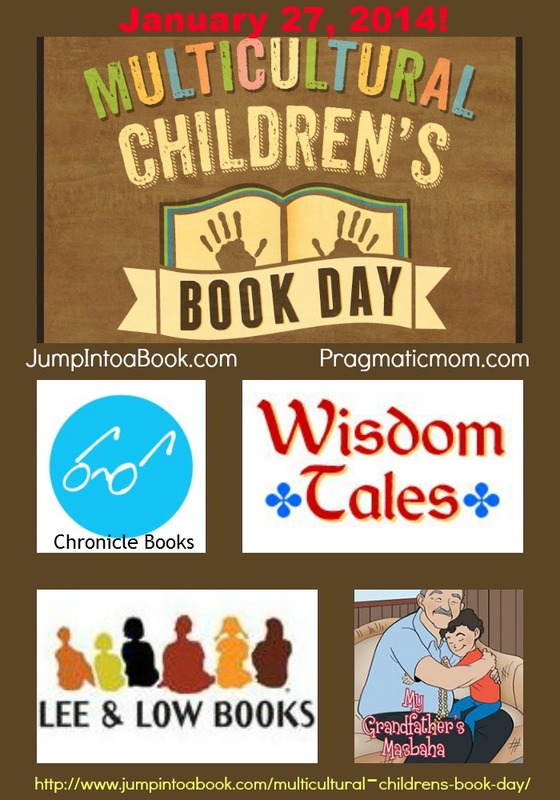 On January 27th, Jump into a Book and Pragmatic Mom will be presenting the first Multicultural Children’s Book Day as a way of celebrating diversity in children’s books. Multicultural Children’s Book Day wants to raise awareness for children’s books that celebrate diversity and to get more of these books into classrooms and libraries. The event will also create a compilation of brilliant books for families, teachers, and libraries. Many thanks to the sponsors of this wonderful event: Wisdom Tales Press, Lee & Low Books, Chronicle Books, and Susan Daniel Fayad, author of My Grandfather’s Masbaha. Part of learning Spanish is understanding the diversity of the United States. Josephine: The Dazzling Life of Josephine Baker by Patricia Hruby Powell tells an inspiring story that helps children understand the history of the country and put problems we still face today in perspective. This biography tells the story of the amazing Black dancer of the 1920s who fled the racism of the US for France where she became world famous. This beautiful book is told in rollicking blank verse and has captivating acrylic illustrations by Christian Robinson. A story of courage, it follows the life of Josephine from her desperately poor childhood in St. Louis to worldwide stardom in France. It paints a clear picture of the American racism of the time and tells how this courageous woman fought for justice. Children learn of her work with the French Resistance during WWII and with the Civil rights movement in the US. The true story inspires and delights as it introduces children to the dazzling Josephine Baker. – adoption (Josephine Baker adopted 12 children from different countries). Be sure to check out the fabulous collection of wonderful multicultural books for kids! I already love this book – thanks for the great review! I’m so excited to read this book, can hardly wait. Thanks for a great review and for celebrating Multicultural Children’s Book Day.